See Guay’s latest work, the 10,000-pound “Border Wall,” on the corner of 10th Street and Howell Mill Road until December. Joseph Guay’s Brutalist-style concrete home sticks out in Kirkwood, a neighborhood replete with gabled cottages. “I wanted to make a giant sculpture that I could live in,” says the artist, 45, as he drops pasta into boiling water. “So I drew 60 versions on paper, and a friend who’s a builder got the plans approved,” he says matter-of-factly, now chopping zucchini and red peppers. Since Guay and his girlfriend, Tara Lee, met almost four years ago, they’ve fine-tuned their meal plan. Lee, 42, danced late hours as a member of the Atlanta Ballet for 21 years and does the same now as a co-founder of the new modern ballet company Terminus, so she’s on breakfast duty. “She makes this great energy shake she calls Cacao Pow, with raw cacao powder, almond milk, and coconut oil,” says Guay, who handles dinner. “That’s the part that never really gets sorted out, though,” he says, pointing to a stack of pots and pans in the sink. Guay was raised on St. Simons Island, and his diet still consists of mostly seafood and vegetables. 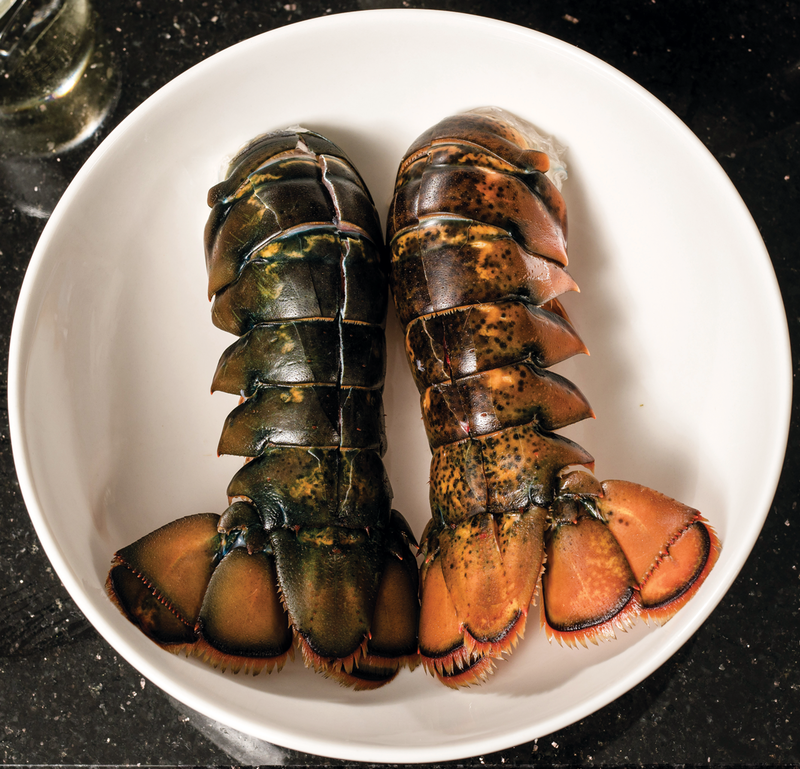 “You can get these lobster tails at Kroger for five dollars each,” he says. “With that, some shrimp, scallops, vegetables, and gluten-free pasta, which costs nothing, this is a $14 meal.” Lee makes a superfood dessert of frozen acai berry puree, fresh strawberries, coconut flakes, and honey. Lee stretches for about an hour, “and I stretch out on the couch for about an hour,” Guay says.